The Riverway Lagoons and Riverway Arts Centre, including Pinnacles Gallery have been CLOSED to repair damage from the unprecedented flood. These facilities will be closed until further notice until repairs have been completed and it is safe for residents to use the facilities. 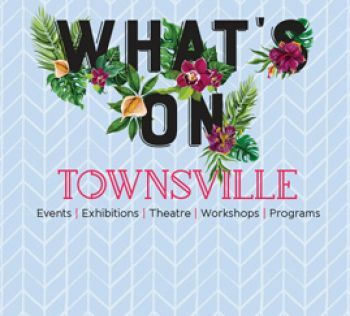 Located in Thuringowa Central on magnificent Ross River frontage, Riverway is one of Townsville's most exciting destinations, offering a dynamic combination of residential, commercial, cultural, sports and leisure activities. Visit the pages below for more information on this unique precinct and all it has to offer. Swim in the lagoons, walk the boardwalk along the river, visit the gallery. Tony Ireland Stadium is home to AFL and cricket matches at local, regional, state and national levels. A legacy project as part of the Gold Coast 2018 Commonwealth Games, the Indigenous Games Trail aims to promote an increased awareness and understanding of Aboriginal and Torres Strait culture.